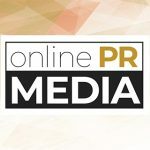 Online PR News – 08-August-2018 – Santa Clara, CA – IT Brand Pulse, a trusted source for research, data and analysis about data center infrastructure, will honor 2018 Innovation Leaders-as voted by IT pros in Flash Storage related product categories-at Flash Memory Summit on Wednesday, August 8 at :00 p.m., Mission City Ballroom, Santa Clara Convention Center. IT professionals from around the world responded to the independent, non-sponsored annual survey in June 2018, asking which vendors they perceive to be the Innovation Leader in sixteen product categories. "The IT Brand Pulse leader awards reflect the judgment of major customers and key IT personnel at important data centers. They are the only awards based on the experience of those who actually buy and use the products," said Dr. Lance Leventhal, Flash Memory Summit. "Regular surveys assure that the responses are recent and up-to-date. Receiving an IT Brand Pulse award shows that a company is doing the job where it really counts - in the field!" "In 2018, the market for NVMe flash storage expanded from internal to external storage," said Frank Berry, CEO and Sr. Analyst, IT Brand Pulse. "At this inflection point, Intel established incumbent brand leadership for the new class of ultra-low latency flash SSD, while IT pros selected Pure Storage for All Flash NVMe-oF Storage." * Intel - NVDIMM, PCIe NVMe Card SSD, Ultra-Low Latency SSD and a Special Achievement award: Contributions to Innovation: Ultra-Low Latency Storage for Edge Computing over the past five years. IT Brand Pulse awards are the symbols for brand leadership; covering hundreds of IT categories each year - from servers, storage and networking to cloud, software and other broad IT market segments. Measuring the perceptions of global IT professionals from large enterprise, medium enterprise and HPC environments, winners are voted in surveys that are independent, non-sponsored research. The surveys are designed to capture the pulse of brand leadership in different product categories. In these surveys, respondents are asked to vote for the overall Market, Innovation, Performance, Reliability, Service & Support, and Price leaders from a randomized field of provided vendors (or write in choice under "Other"). 20th Century Fox - Advocate Health Care - Allergan - Allstate - American Airlines - ARRIS - AT&T - Bank of America - Berkshire Hathaway - BC Hydro - Blue Cross - Boeing - Boral - BorgWarner - Bosch - Boston Scientific - Boston University - British Columbia Lottery - Brown Bros Harriman & Co - CA Dept. Of Insurance - Caesars Entertainment - Cognizant - CUNA Mutual - Celanese Corp - Chubb - Colgate Palmolive - Coty, Inc. - Daiwa Capital Markets - DaVita - Delta Airlines - Delta Dental - Department of Defense - DLL Group - Dot Foods - DTE Energy - Encore Capital Group - Ensco - ExxonMobil - Ernst & Young - Fed Ex - First Midwest Bancorp - Foley & Lardner - Franklin Templeton - General Electric - General Dynamics - HCP, Inc. - Hubbell Incorporated - Hess Corp - JBS USA - Kaspersky Lab - KomerÄnÃ­ Banka - Kingston Technology - Legrand - Loblaw - Lockheed Martin - LRZ - Macy's - Medtronic - Mohawk Industries - MSC Industrial - MTA - Mutual Bank - NASA Ames Research Center - NAVNETWARCOM - National Institute of Health - NBC/Universal/Comcast - NCR - Novelis - Ogilvy & Mather - Omnicom Media Group - Optum - Parker Hannifin - Phillips 66 Company - Polycom - Porsche Cars NA - PPG Industries - Quad/Graphics - Raytheon - Reliance Steel & Aluminum - Ryobi - Sandia National Labs - ScanSource - Schindler Group - Siemens - Sony-- Steelcase - Spectrum Brands -Sprint - Sysco - TD Ameritrade - TE Connectivity - Teva Pharmaceuticals - Time Warner - Torchmark - T-Mobile - UBS - United Airlines - U.S. Dept. of Labor - US Bank - Walgreens Boots Allianceâ€¦and many more. Flash Memory Summit, produced by Conference ConCepts, showcases the mainstream applications, key technologies and leading vendors that are driving the multi-billion dollar non-volatile memory and SSD markets. FMS is now the world's largest event featuring the trends, innovations and influencers driving the adoption of Flash Memory in demanding enterprise storage applications, as well as in smartphones, tablets, and mobile and embedded systems.